Catania, Piazza Armerina, Agrigento, Caltarigione, Ragusa, Noto, Avola, Syracuse, Ortigia, Mount Etna, Taormina, and more! Let’s dive in the Eastern part of Sicily, famous for the beauty of its Baroque cities, very appreciated place by gay and lesbian couples, Siracusa, the homeland of Archimedes and of the Greek civilization, and Catania, the town situated at the feet of the tallest volcano in Europe: Mount Etna. 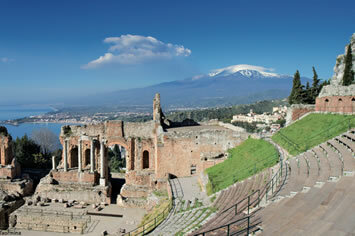 And don’t forget Taormina, splendid gay friendly town with stunning views on the Mediterranean Sea and wonderful beaches. 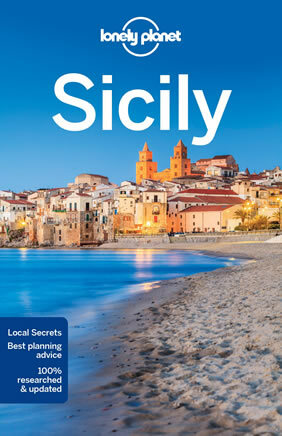 You’ll discover all these aspects of this side of Sicily in a tour between architectural and nature marvels. 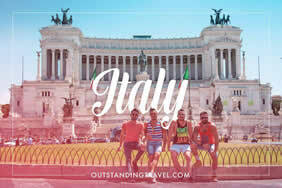 Ciao & welcome to Sicily! Upon arrival get transferred from the airport in Catania to your hotel. At night, feel free to stroll around the town which has flourishing gay life - try the Pegaso's Circus, Codice Rosso, Villa Romeo and Nievski bar. After breakfast meet your guide for your Catania walking tour. 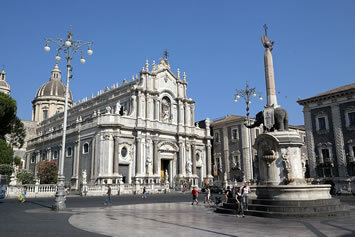 Catania, one of Sicily's most important cities, is also called the "black-city" thanks to its Baroque-style and the dark color of the façades created by the lava stone from Mount Etna. After the town was destroyed because of an eruption, its old part was rebuilt in a Baroque style. 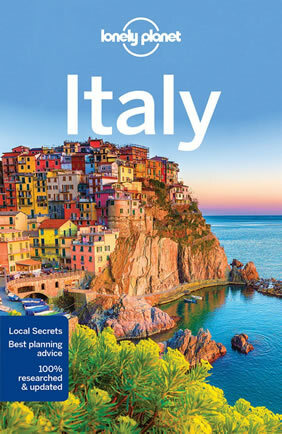 Walk through its UNESCO city center, where you will be astonished by charming piazzas, streets and markets, exploring the ruins of the Roman amphitheater, the Ursino Castle, a massive fortification built for Frederick II in the XII century, and the beautiful Bellini Theatre, dedicated to the great musician from Catania. Free time for some self-exploring & shopping and a free night to taste more of the exciting night life! Following breakfast head to Piazza Armerina, where you will visit the famous Villa Romana del Casale, declared a UNESCO World Heritage Site - thanks to its well preserved mosaics depicting mythological themes and hunting scenes. 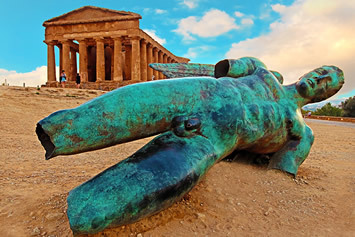 Continue to Agrigento to meet your guide for a visit to the famous Valley of the Temples in Agrigento - one of Sicily's most famous historical attractions. This splendid archeological park consists of 8 temples built between about 510 and 430 BC. 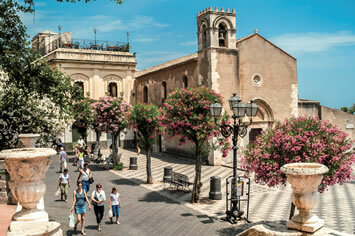 After breakfast travel with your driver to Caltarigione, one of the liveliest Baroque towns in central Sicily. Also known in Italy as “The city of Sicilian ceramics” due to its thousand-year-old tradition. Continue to Donnafugata Castle with its white façade and Venetian Gothic loggia giving you the pleasuring feeling like it just came out of a fairytale. Continue to Ragusa and discover the famous UNESCO Ragusa Ibla with the Basilica of San Giorgio and the Hyblean Gardens, with its fantastic views of the town. 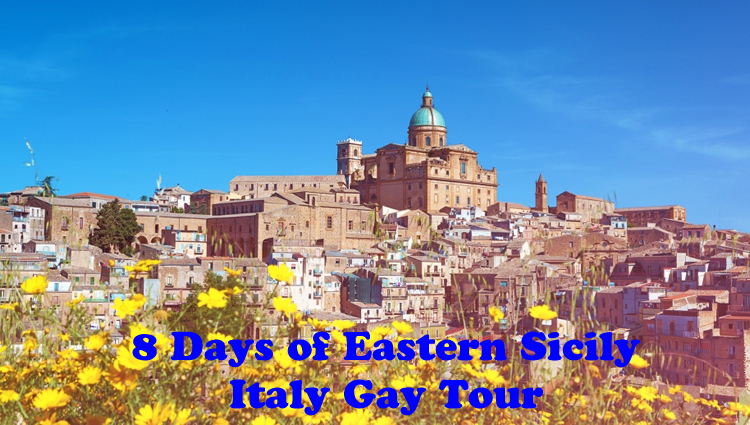 Off to the capital of Barroco, Noto, which has been awarded as one of the most important LGBT destination in Italy by Geta (Gay European Travel Association). Noto offers many gay beaches such as Spiaggia di Eloro or Pizzuta. Meet your tour guide for a night walking tour and discover the old town which is like a stage setting: the ensemble of palaces, churches and squares and the view reaching all the way to the sea. After breakfast depart to the beautiful town of Avola, where you can admire wide sandy beaches, delicious almond specialties and the world famous red wine Nero d'Avola. The locals still live mostly on farming, vineyards and groves of lemon, orange and almond trees which really characterize the landscape. Continue to Siracusa where you will stop at the Archaeolgical Park of Neapolis, which includes a range of monuments like the Greek theatre. Visit the Cathedral and the Fonte Aretusa before heeading to magical Ortigia, the historical heart of Syracusa where the architectural beauties of different historical periods, Prehistoric settlements, Baroque, Byzantine and Norman Greek art will stun you. Back to the hotel in Noto. Following breakfast meet your private gastronomic & wine expert and hop on the train (not available in Sunday) to Mount Etna area, the most active Volcano in Europe. Arrive in Castiglione di Sicilia and visit the vineyards and wine cellar in Rovitello. Walking tour of Castiglione di Sicilia, resting on a hill on the north side of Etna. This is the archetype of the typical hilltop village, with houses perched along the slope. After lunch with local delicacies in Etna area continue to a wine cellar in Milo, where you will visit the vineyard and production facilities and taste ETNA DOC wines. Get back to the hotel and have some free time for relaxation and dinner. Following breakfast meet your tour guide and discover Taormina, the Mediterranean Pearl, which is located on a natural terrace sheer above the sea. Visit the charming, ancient Greek theater which is located in the blooming, natural scenery that goes straight across the sea to reach the Calabria coasts - the town of Siracusa and the Etna's peak. Get back to your hotel for an overnight or start your night out in one of the many bars in Taormina like Fashion, La dolce vita, Shatulle, Tyke Bar and Ziggy Bar. After breakfast, transfer back to the airport in Catania for your flight back with everlasting memories of an amazing trip! 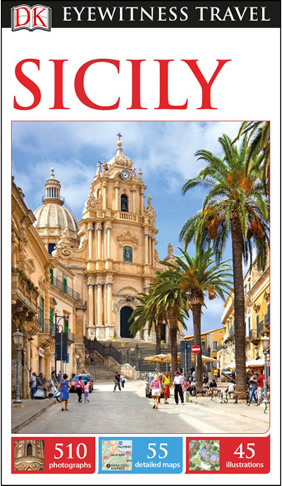 Select from 3 different category Catania, Agrigento, Noto & Taormina hotel options. This is an enchanting oasis found snug between the city’s Baroque architecture and the sea, with Mt. Etna towering above it all. At the Romano Palace Luxury Hotel – the first five-star luxury hotel in Catania, inaugurated in 2004 in a fantastic setting along the seaside, surrounded by a private park of 25,000 square meters – you will quickly slip into a state of complete relaxation thanks to the sea view and the large swimming pool with whirlpool and massage jets. This property is 2 minutes walk from the beach. Just a 5-minute drive from Catania Fontanarossa Airport, the Romano Palace Luxury Hotel offers a beach-front location and peaceful gardens. It features a gourmet restaurant, a large pool and elegant rooms. The Romano Palace’s rooms are decorated with bright Mediterranean colours and traditional furnishings. Each has free Wi-Fi, a balcony, and an LCD TV with Mediaset Premium channels. The Coriandolo restaurant serves Sicilian and classic Italian flavours, such as fresh swordfish, shellfish with saffron spice, and traditional Cannolo dessert. Guests can enjoy breakfast, including luxurious prosecco and strawberries, on the roof terrace, with views of Mount Etna. Villa Athena is the only 5-star hotel situated within the Archaeological Park of the Valley of the Temples, which UNESCO has declared a World Heritage Site, with an exclusive direct entrance. A magnificent residence of the end of the 18th century, it is at the same time a custodian of the classical traces that may be discovered almost everywhere, like in some treasure trove. The rooms of Hotel Villa Athena are air conditioned, and feature a TV and a private marble bathroom. Some have views of the garden, and some overlook the temples. An American breakfast is served daily. There is a famous restaurant on site, the Terrazza degli Dei, with panoramic views. Villa Athena features a wellness centre, an outdoor pool, and both free parking and free Wi-Fi throughout. The Grand Hotel Sofia is situated in a perfect location in the beautiful baroque city of Noto, only three kilometres from the best beaches in eastern Sicily. This modern and elegant hotel is located near lush citrus groves and boasts a large outdoor pool with bar. Its first-class restaurant specializes in Sicilian and Mediterranean cuisine. Outdoor pool, surrounded by greenery and complete with bar, is the perfect place to relax after a day exploring our beautiful region, or to pamper yourself and indulge in a day of rest. The pool is also the perfect spot to make friends, enjoy happy hour, or experience one of our seasonal celebrations, all under the blue Sicilian sky. Start your day with style, tasting the delicacies of traditional Sicilian cuisine. Delicious, hearty breakfast buffet offers a wonderful variety of local products including croissants and homemade pastries. In order to suit all tastes, we also offer a selection of continental fare. The Grand Hotel Sofia exclusive, luxurious junior suites offer the perfect retreat for all your special occasions, and all this in a splendid setting. These spacious and comfortable junior suites feature an elegant living room with a sofa, as well as a large bedroom with a unique circular bed. The bathroom is modern and well-appointed with a spa bath. The junior suite also boasts a veranda complete with table and chairs. Get the celebrity treatment with world-class service at The Ashbee Hotel. This property is 11 minutes walk from the beach. The Ashbee Hotel is an early 20th-century villa set in front of Taormina's San Pancrazio Church and 100 m from the Greek Amphitheatre. Rooms offer unique views. This 5-star deluxe hotel with large gardens and an outdoor swimming pool was designed by the famous architect C.R. Ashbee, early member of the Arts and Craft movement. The hotel features a bar and a tea room. Hotel Ashbee's rooms are spacious and bright, and equipped with free Wi-Fi, air conditioning and satellite TV. Views include the garden, the sea, or the Nebrodi Mountains. The light palette of furniture makes the room soft; a few coloured details convey a sense on uniqueness; warm wooden elements and soft, exclusive cloths guarantee the right comfort. Superior rooms treat guests to a breathtaking view onto the garden; marble bathroom is equipped with bathtub or shower. 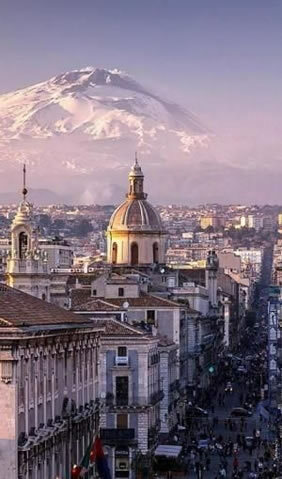 One of the most important Catania hotels occupies a recently restored aristocratic building, located on Scalinata Alessi steps, set between Via Etnea Street and Via Crociferi Street. Il Principe Hotel are in the baroque heart of the historical centre of Catania, providing outstanding testimony to Sicilian architecture and declared by UNESCO Patrimony of Humanity. Il Principe Hotel Catania offer to guests impeccable services. The refined atmosphere and the extreme care for details offer a perfect blend of design and tradition. The Il Principe Hotel’s Suites and rooms, elegantly furnished, were designed to offer the maximum comfort to guests. All of them have private bathroom, with Jacuzzi bath or shower, Air Conditioning, Television Set with Satellite Channels and free SKy TV, WI FI Internet Connection, Mini-Bar and Safe. A continental buffet breakfast is served daily in the dining room. Guests can also relax in the hotel's American piano bar. Scala dei Turchi Resort, named after the famous white marl rock formation, is a charming small resort set on Real Monte next to the sea on the south coast of Sicily. Here in the green Sicilian countryside, near Agrigento, not far to the Valley of the Temples, you find a number of ancient Greek incredibly well-maintained temple ruins. An exciting area if you are interested in the ancient archaeological sites. The area is listed on the UNESCO World Heritage Site. The Scala Dei Turchi Resort is built in a sleek and minimalistic style and faciliates only 35 rooms on two floors. The colors are friendly white and bright Mediterranean colors. The hotel's restaurant serves lovely local dishes inspired by the Mediterranean cuisine. Furthermore it is complemented by a café and a lounge bar. The lounge bar is located on the first floor, and from here you can enjoy the enchanting views over the glassy sea. Villa Favorita Relais, placed in the Val di Noto in the heart of Baroque Sicily and was born with the transformation of the 18th century villa property of the Di Lorenzo barons of Granieri marquis of Castelluccio family. At this day the Relais is still run by direct descendants of the family. The manor entrance with its almond tree boulevard announces the unicity of the Villa. The bedrooms and the rest of the compound maintained the charm of the original mansion thanks to the restorations which have been carried out following all the original architectural principles and the guidelines traced by the Ministry of Cultural Heritage. The Villa Favorita Relais Hotel restaurant is composed by one main room and a spacious terrace with overlooks a citrus groove running all the way down to the sea.The menu offers a variety of local dishes, home grown products and indigenous wines. 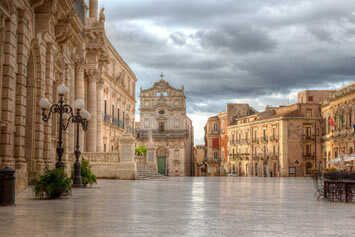 The swimming pool offers a wonderful view of the Baroque city of Noto. The garden surrounding the whole property, including a private chapel named after St Agnese, completes the picture giving a sense of peace and relaxation which is without doubt a distinctive feature of the whole Villa Favorita. An independent luxury boutique hotel located in a unique historic setting overlooking the Ionian Sea. Recently renovated Villa Carlotta Hotel provides a secret refuge for guests who are looking for high quality with personality and style. Enjoy impeccable personal service in a relaxed and comfortable atmosphere surrounded by people who genuinely care. Try Villa Carlotta Hotel roof top Restaurant and savour the tastes and flavours of Sicily at its best in an elegant but informal atmosphere. We insist on using fresh local ingredients in a menu that features authentic Sicilian recipes created with unique flair. Whether it’s unforgettable Sicilian buffet breakfast, a casual light lunch or a romantic a la carte candlelight dinner with your partner or friends, we promise you won’t be disappointed. A pleasant and charming oasis in an oasis. Four small villas, thirty rooms in total, all immersed in Nature and surrounded by greenery. Plants and trees from each Continent, kissed by the shining sun, spread bright colours all around, as well as delicious scents in the air. Hotel Borgo Verde is a modern hotel at the outskirts of Catania, 15 km from Mount Etna. Tourists, indeed, will be pleased by our proximity with Catania International Airport “Fontanarossa” (far only 10/12 minutes along the West Ringroad). Well furnished rooms, modern and cosy, with air conditioning/heating, hair dryer, minibar, desk, Sky tv, safety deposit box and ADSL connection, but, most of all, with a view over the magnificient park. A special care has been paid in the choice of mattresses, to assure a relaxing rest. In the evening, from Monday to Friday (7.30 p.m. – 9.30 p.m.) Borgo Verde Hotel Guests can have dinner here, in little restaurant, where they can taste tipical Sicilian dishes, such as Parmigiana di Melanzane, Pasta “Alla Norma” or with Pesto di Pistacchio, or, if they prefer, even only a green salad. Belmonte Hotel rooms furnished with class, provided with sound insulation and underfloor heating, wooden floors, neutrally colored stone and ceramic coatings, with special attention to every detail. The rooms guarantee absolute comfort thanks to many services and pure beauty. Air conditioning, flat screen TV, free WI-FI, safe, mini bar, telephone, wake-up call service, room breakfast service on request, spacious private bathrooms with double shower, hairdryer and bathroom amenities are the way Belmonte Hotel pampers its guests. Le Traveggole is the restaurant of Belmonte Hotel: a convivial place, where quality of food and courteous service blend, for a must-live culinary experience. Noto is the birthplace of Hotel Flora, immersed in the historical centre and in the evocative frame of the old Baroque town, declared by UNESCO a common Heritage of Humanity. The Hotel consists of 11 beautiful rooms in a modern and recently rebuilt structure, and of 5 elegant rooms located in the Outbulding, that is an ancient building overlooking the so-called “Porta Reale”: the entrance of the “stone garden”. The Hotel offers all the comforts of a finely furnished building, perfectly embedded in the general architectural style of the town. The modern and elegant interior design is willing to convey a cozy and luxurious atmosphere, in order to ensure that our guests will have a pleasant and comfortable stay. Hotel Flora provides its guests with various services: a “Ape Calessino” for discovering the hidden treasures and the small alleys of Noto aboard a wonderful guided tour; parking with video-surveillance; our Bar Flora, perfect meeting point for tasting the delicious typical products made in Sicily, which you can enjoy sitting in our panoramic terrace in the warmest days of summer, looking from above the “stone garden” in all its beauty. This property is 12 minutes walk from the beach. 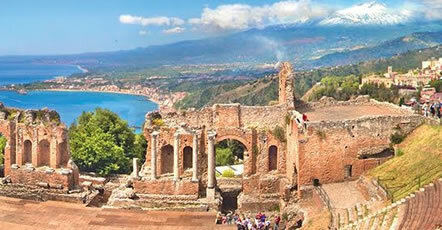 The popular town of Taormina is 25 km away. Surrounded by orange and lemon groves in Archi, Zash Boutique Hotel offers stylish rooms and suites, a garden, restaurant and terrace. Guests can explore the local area on the property’s free bikes, and Wi-Fi is free throughout. Organic eggs, homemade cakes, croissants and fresh fruit are served daily at breakfast, and in summer months, guests can also enjoy a traditional Granita iced drink. The restaurant specialises in typical Sicilian dishes. Modern rooms at the Zash Hotel all come with air conditioning, a minibar and flat-screen TV. The private bathroom includes a hairdryer. Running, jumping, walking, strolling or simply stay inside the citrus grove. Accompanied by the sounds and smells of the Mediterranean nature will experience an authentic active and personal time outdoors. In addition to this, several bicycles are available for guests to ride in the countryside and exploring the surrounding area. 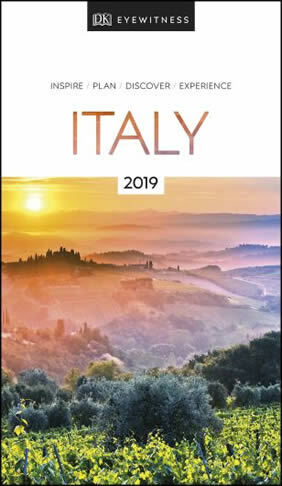 • Entrance fees (with queue- jump) to the following sites: The Valley of Temples, Donnafugata Castle, Archeological Park of Neapolis, The Greek Theatre.